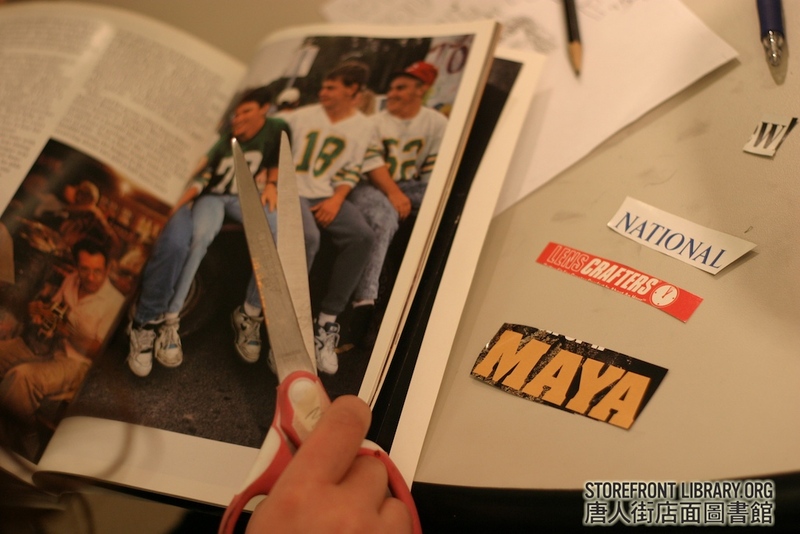 “We hope this will be the first in a series of “Immediate Zine” group zine-making experiments hosted by The Papercut Zine Library, in collaboration with the Storefront Library. 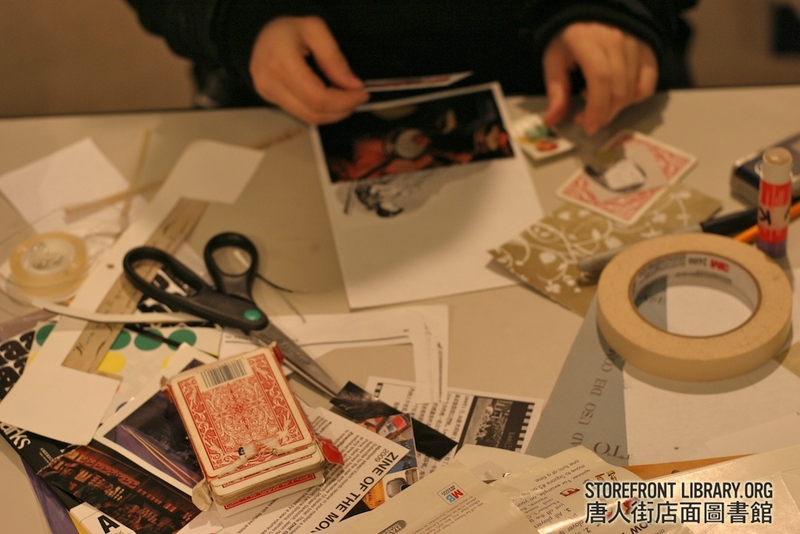 Participants will then be asked to build themselves a page or two for a group-zine on the topic of: Free Expression. Take some time to write something up, draw a cartoon, build a collage, whatever. 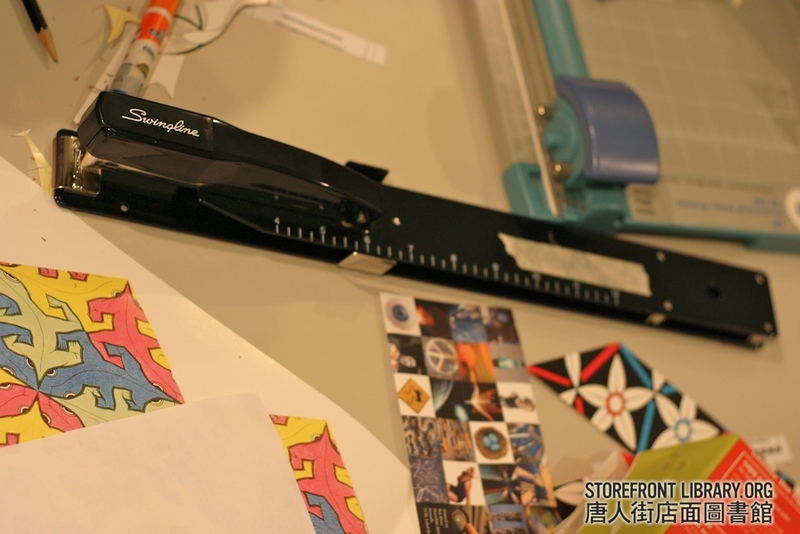 The results will be laid-out, photocopied and collated on the spot, giving participants a full seed-to-cabbage type of zine-making experience–plus a new zine full of original art and ideas. 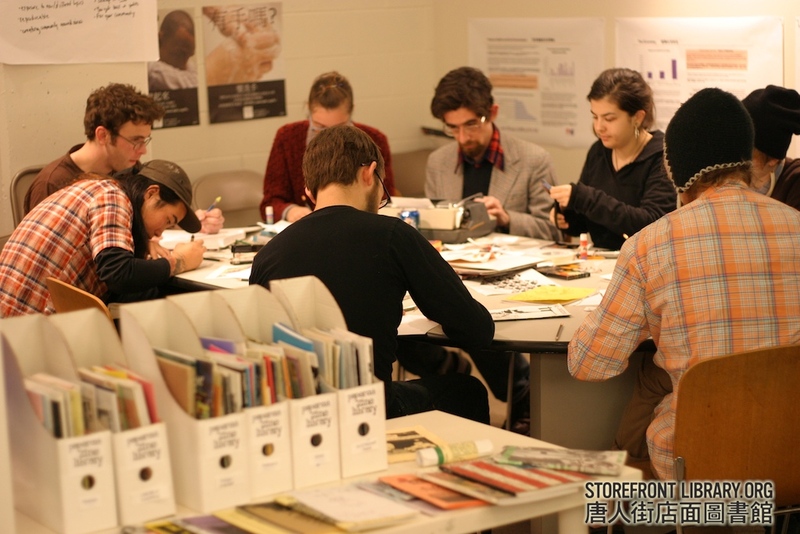 Saturday is when we go to work in the Library | Chinatown Storefront Library linked to this. 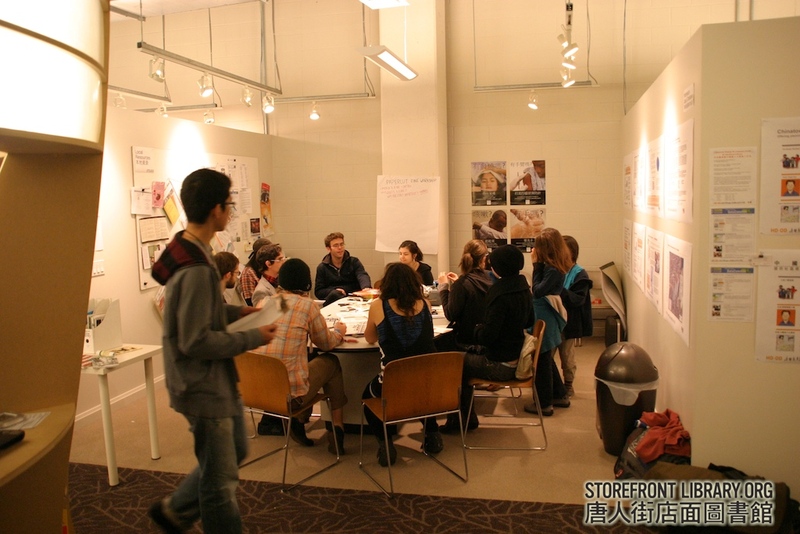 A workshop we had in Chinatown! 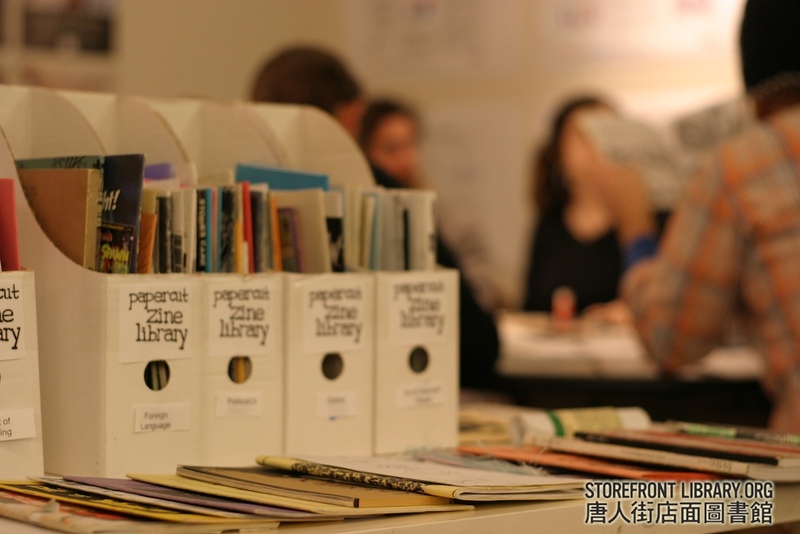 « Papercut Zine Library linked to this.